Essen Spiel 2018: Reviews incoming! So the four days of gaming madness that is Essen Spiel are over for another year: 1,200 new games were released, 190,000 people crammed into the halls and I had what feels like about five hours sleep – while eating my own weight in meat and drinking a few too many beers. A full report on my trip is in the works, but for now I’m simply going to list the games I picked up over the weekend to review over the next couple of months. Do bookmark this page if you’re interested, as I’ll link to the reviews from here as I post them on the site (and over at BGG). Overall, it seemed like a pretty average Spiel (average = great fun). There were plenty of interesting games, but while the number of new games keeps going up it simply seems to be adding to the mediocrity rather than increasing the level of greats, or innovative titles. I still lay the blame for this firmly at the door of Kickstarter: anyone can push their derivative game out the door with the greatest of ease, muddying the waters for everyone and making the gems even harder to find. But I digress. I hope to have all these reviews done before the end of the year, but I’ve said that before… And thanks to all the publishers who either gave me a big discount or gave their games for free – I couldn’t do this without your support. 1906 San Fransisco: City building via a card-based action selection mechanism, but in a small box. 5 Colors: Great little majorities card game from Japon Brand. Adios Calavera expansions: A three-player board, plus two more expansions, to add to the brilliant base game. Color Monster: A children’s game encouraging your kids to talk about their emotions. Crown of Emara: A fantastic one-hour euro with Knizia-esque scoring. A pretty solitaire experience, but a juicy enough efficiency puzzle to keep me occupied. The Estates: Prettier reprint of the celebrated and super mean auction/area control game Neue Heimat. Fertility: Tile placement set collection/resource management game. Pretty much family level, but looks interesting enough to appeal to gamers too. Gnomopolis: Worker placement/bag building and set collection. Cute pieces and simple rules, but something about it just spoke to me. Orbital: Space station builder with a super tight economy. On one play, I think this is finally the Suburbia-style game that doesn’t have any rules I hate. Prehistory: My heavy euro for Spiel 2018. Mechanisms listed as area control, modular board, set collection, tile placement and worker placement. Blimey. Tsukiji: The latest entrant in my search for a small, light and short commodities speculation game that really works for me. There will be quite a few more (Including Discover: Lands Unknown, Orbis, Raids, KeyForge and Magnastorm) arriving by mail in the coming months too, so expect plenty of post-Essen goodness! 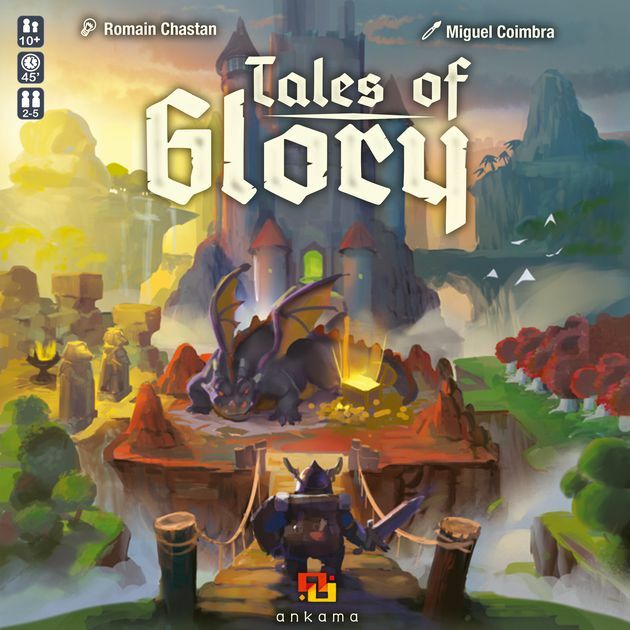 Tales of Glory & Welcome To…: These were high on my list of games to review, but neither publisher was willing to give me a discount in return for a review. This is not a complaint – its their prerogative. Its just that I have very limited luggage space/funds and there are a lot of good games, so I’d rather just get something else. Hopefully I’ll get to play these later and if I like them I’ll pick them up. Underwater Cities: I have no idea how I missed this in my research, as it sounds right up my street and I heard good things about it during the weekend. This is the game I most want to play of those that I saw, and I’ve got a spoken appointment to play it in a few weeks’ time, so finger’s crossed. You can’t have enough card-driven tableau/engine builders. Hardback: I’m almost certain I’ll like this, and Sarah may like it too, but there’s something about word games – they just don’t do it for me without a play. I tried to get near it almost every day but the booth was always busy (great news for them) – and somehow the people on the booth just didn’t look very approachable. I’m sure it was me, and not them, but again I’ll look to get a play of it soon. Newton & Coimbra: I didn’t really want to come home with more than one super dry 90-minute euro, but ended up overlooking both my original picks for this category and instead opted for Crown of Emara. I expect to still play these two and again, if they really do it for me, I may pick them up. But I’ve been saying that about Lorenzo since its release and still haven’t bought it, despite really liking it.